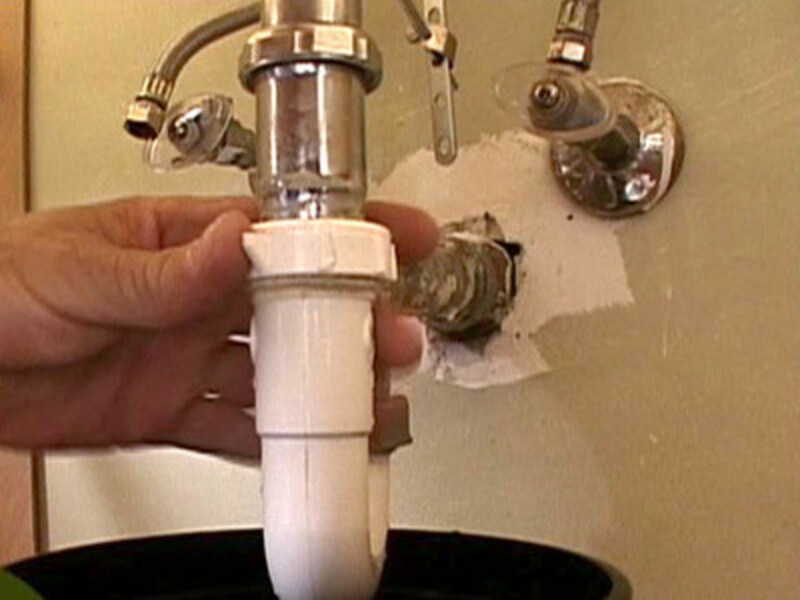 Avoid costly bathroom remodels with these affordable makeover tips! With these six simple and affordable tricks and techniques, you can have a new-to-you bathroom makeover in just one day. From drab to fab, adding accessories and a splash of color will transform your bathroom to showroom quality. Next time you are at the hardware store, pick out a couple of free paint swatches. Review the paint swatches next to your existing bathroom fixtures, wall color, and floor. Determine which color will look best. Then, once you buy the paint at the hardware store, you can bring the paint swatch to match up to the color of your accessories. 1. Choosing the right color paint! Inspiration for paint color is within your environment. Look around at the walls, floor, and fixtures. What colors pop out at you as you enter the bathroom? 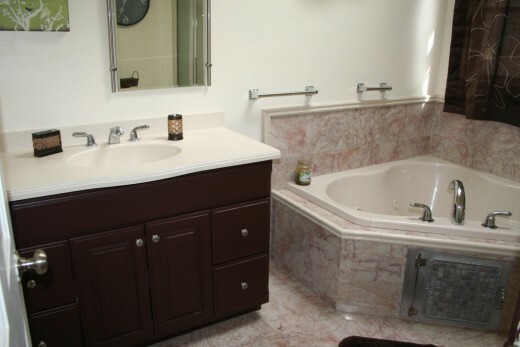 It can be a color in the tile floor or the surface area around your tub. Also, look at surrounding rooms. You wouldn't want to start with a neon shade of green when the next room is symphony gray. Color can vary vastly from one shade to the next. It's important to pick up as many paint swatches as possible to assure that the color you purchase is the appropriate match for your bathroom makeover. The color we chose for this makeover was Pinecone Path by Behr Paint at Home Depot. Ask for the paint and primer in one with a deep base for this color choice. Don't forget to pick up your free paint stirring stick when you buy your paint. Don't be fooled by wet paint. Paint looks different as it dries. These colors will go well with Pinecone Path. These colors are from the Behr Home Decorators Collection at Home Depot. 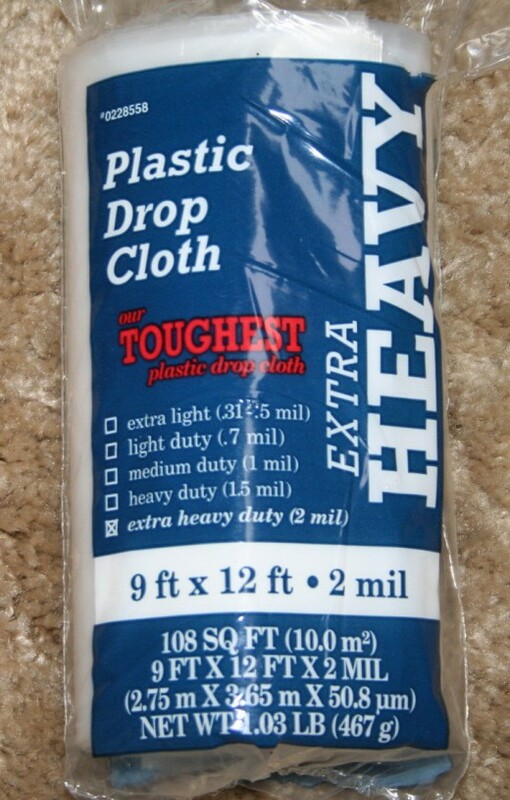 Plastic drop cloth comes on a roll. Roll out a small amount and cut a section off from the whole roll. This will preserve the drop cloth for another paint job. This roll cost $3. 2. How to begin the makeover. Start by taking a clean dry cloth and wiping down the areas you will be painting such as the vanity and wooden trim around the bathroom. Prepare to paint by laying down plastic drop cloth. Remove hardware such as drawer pulls and knobs from the vanity. 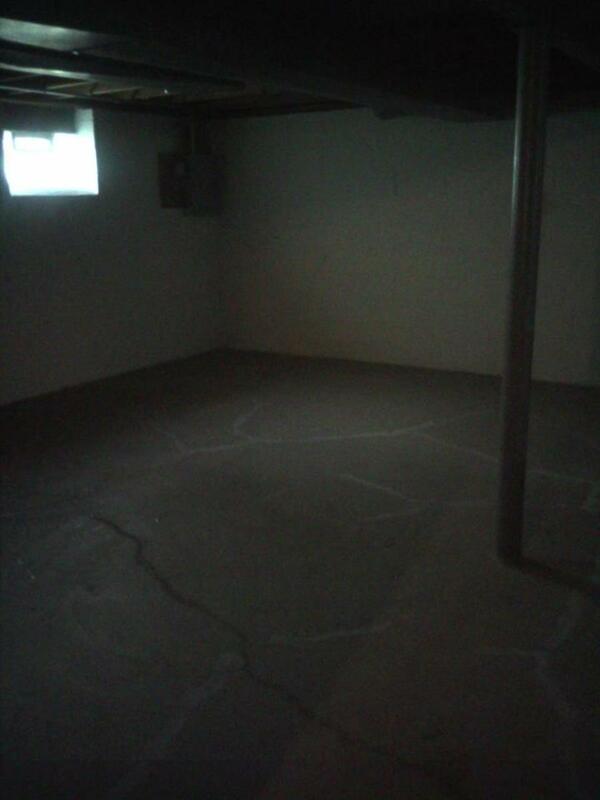 Set your paint up on the plastic drop cloth. Use painter's tape around the floor under the bottom of the vanity and around wall surfaces. 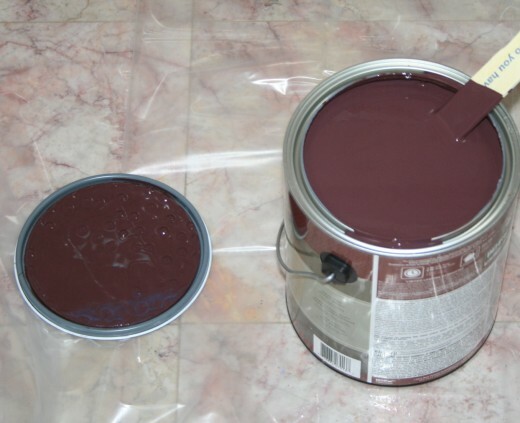 Paint settles after it is mixed at the store. Make sure to mix it thoroughly with the free wooden stir stick you receive at the hardware store when you purchase the paint. Begin painting with nice clean strokes with your brush. 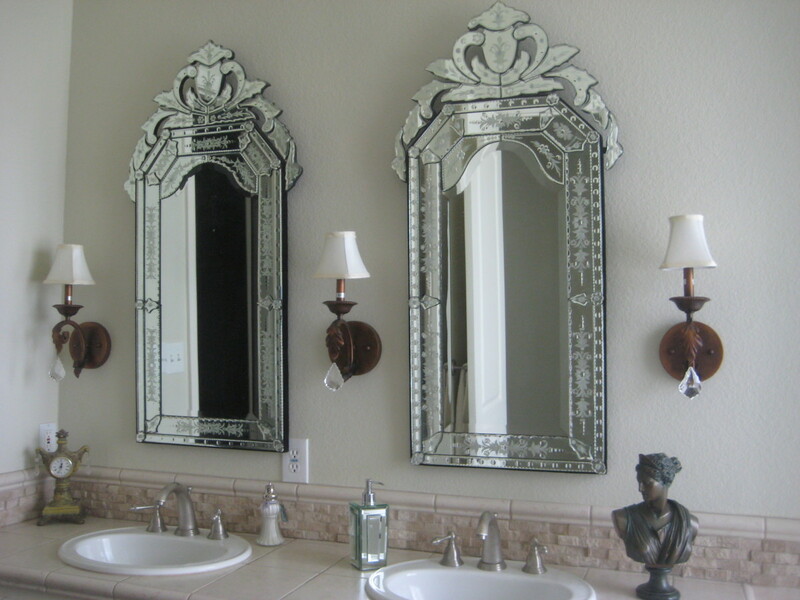 What you need to know about painting the vanity. Painting a vanity can be done fairly quickly. 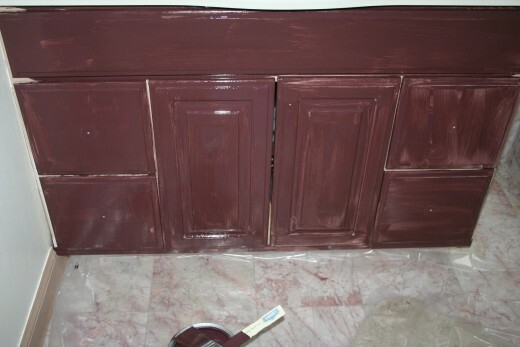 It took less than 10 minutes to apply the first coat to the front of the vanity. It's helpful to have a cut-in brush to use around the tight areas. What to do with old drawer hardware! Drawer hardware is often expensive, costing around $4-6 per drawer. Cash in on old drawer hardware online at Ebay or Etsy. Many crafters use old drawer hardware to re-purpose furniture. Did you know that you could makeover a bathroom by painting the vanity and adding accessories? I never knew you could paint a bathroom vanity. I would have replaced the vanity not realizing I could easily paint it. This article is so inspiring, I think I'm going to make over my own bathroom. I always make over my rooms by painting the furniture. It's so inexpensive. I don't know how to paint, so I would probably hire someone. The curtain for this project was on the clearance rack for 1/3 of the original price. Match the sewing thread to the color of the curtain. You don't want glaring white thread to show through a dark curtain or vice versa. Make sure the design on the curtain allows the curtain to be adapted. In this example, the flowers on the curtain look nicely positioned to one side after being adapted to fit the window. 3. 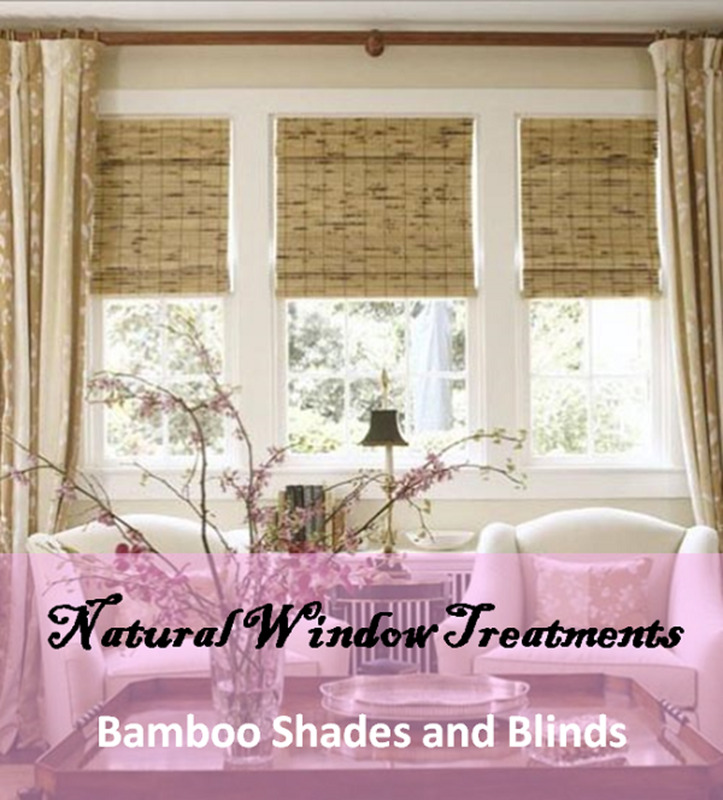 Curtains and window treatments. The goal here is to save money. 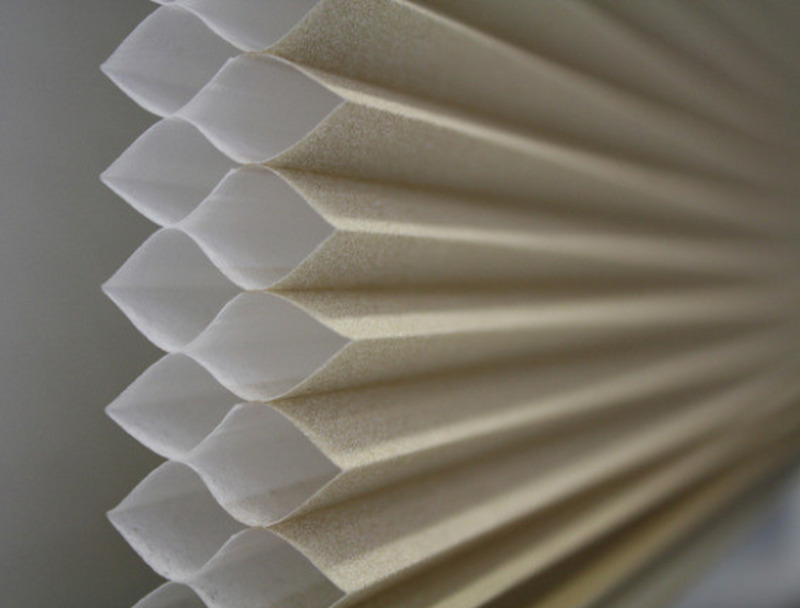 Window treatments can be very costly. Depending on the size of your window, your only choice may be to go with curtains when trying to stay under $100. 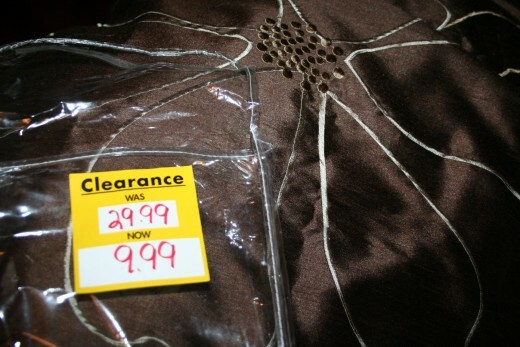 Look for curtains on clearance to start. We found this beautiful curtain, originally $29.99 on clearance for $9.99. The window in this bathroom is longer in width than taller in height. The curtain we found was taller in height and shorter in width. I knew I could adapt the curtain to our window size by sewing it if necessary. I purchased it because the alternative window treatments cost around $80-$100. We took the paint swatch with us and matched the curtain to the paint color. 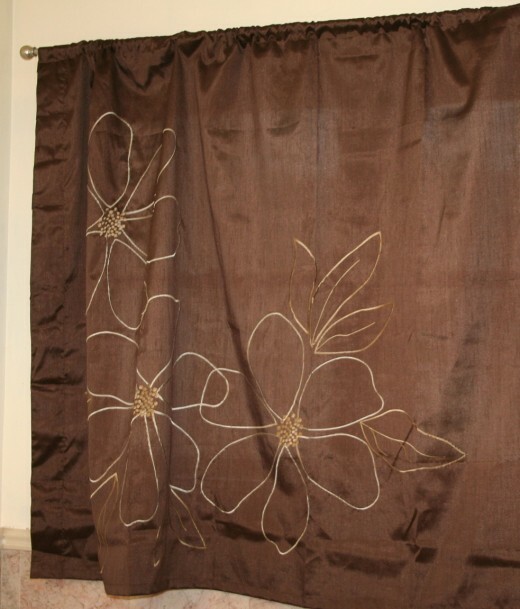 Another secret to saving money on window treatments is to look for a shower curtain that matches the décor. Many stores such as Bed, Bath & Beyond or Walmart display shower curtains with matching accessories and towels. 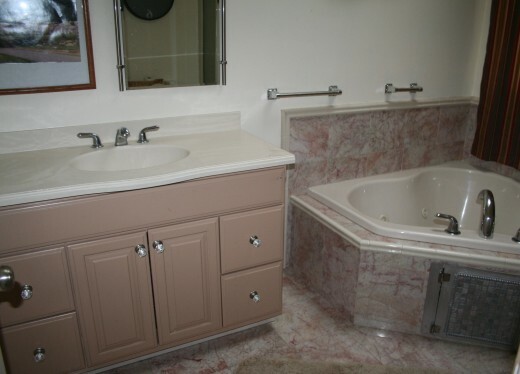 Therefore it would be really easy to pick out an entire matching set to go with a bathroom makeover. Just remember if you do go with a shower curtain, it may not have a privacy liner. This issue can be remedied by backing the shower curtain with a plastic liner to assure privacy around your bathroom window. If the shower curtain is too long for the window, it can always be hemmed for height. I adapted the curtain we purchased for this bathroom makevoer by turning it to the side and sewing a deep hem across one side. It fit perfectly across the window rod. I turned the curtain sideways and sewed a hem over the top to fit the window correctly. 4. Decorations for the wall. For this particular project, we decided not to paint the walls. An additional paint color would have cost another $30. For around $150, you can have a freshly painted bathroom as well. Being on a tight budget, that extra $50 may not be available. The wall color in this bathroom was good enough for this makeover because it matched the color we chose for the vanity. When accessorizing a bathroom, consider all of the lines, patterns, designs, and colors in the room. Zesty Apple is a bright green color that is offered by Behr paint. Having the paint swatch in hand for Pinecone Path, I knew that a bright green accent piece would go well with the bathroom. 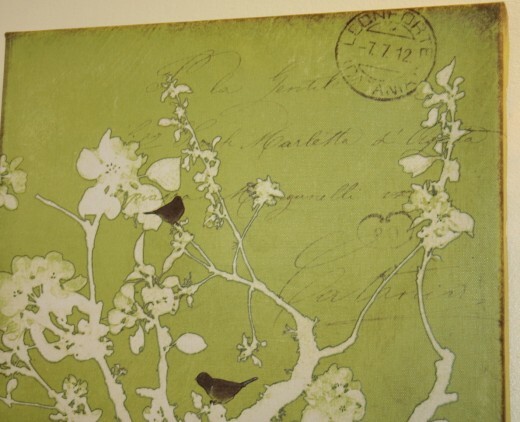 I found this adorable wall canvas art hanging in green with brown birds painted on it. It was a perfect fit for this makeover. And at the cost of $7, I couldn't go wrong. Colorful wall hangings add new life. New cabinet hardware can be quite costly. You can purchase pre-owned hardware online or find new knobs and drawer pulls at local hardware stores. 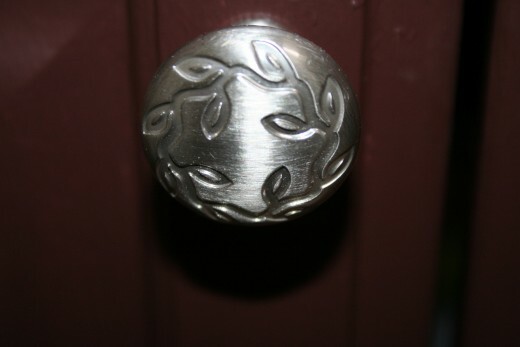 For this project, I found a nice silver tone knob for the vanity doors and drawers in a vine pattern. I thought that would tie in the wall art and give the vanity a fresh, updated look. Finally, picking out accessories is the fun part of any room makeover! Just be sure that you stay within your budget. I tend to go a little overboard and then come to my senses when the cost factors in. 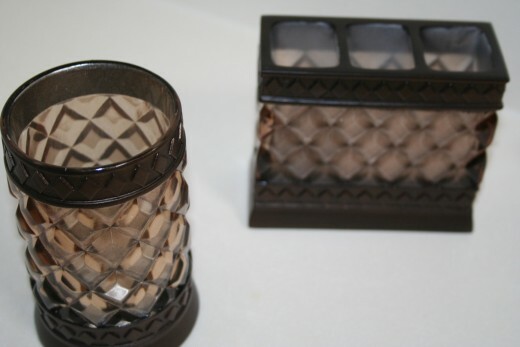 Again, taking the paint swatch to Bed, Bath & Beyond, I was able to find a toothbrush holder and bathroom cup for $15 for the pair. I also found a plush new bathroom rug in deep brown which goes nicely with the new vanity color. Hardware stores charge $0.75 for paint can recycling fees. Keep pets away from wet paint. Dogs and cats can mistakenly walk on wet paint drippings and smear it through a room. Keep children away from the work space who may try their hand at being Picasso when you aren't looking. Keep paint brushes moist by dipping in paint in between painting breaks. Wash paint brushes thoroughly and pat dry for the next paint job. Close the lid to paint cans easily by hammering the top down. Avoid paint splatters by covering the top with a paper towel before hammering. 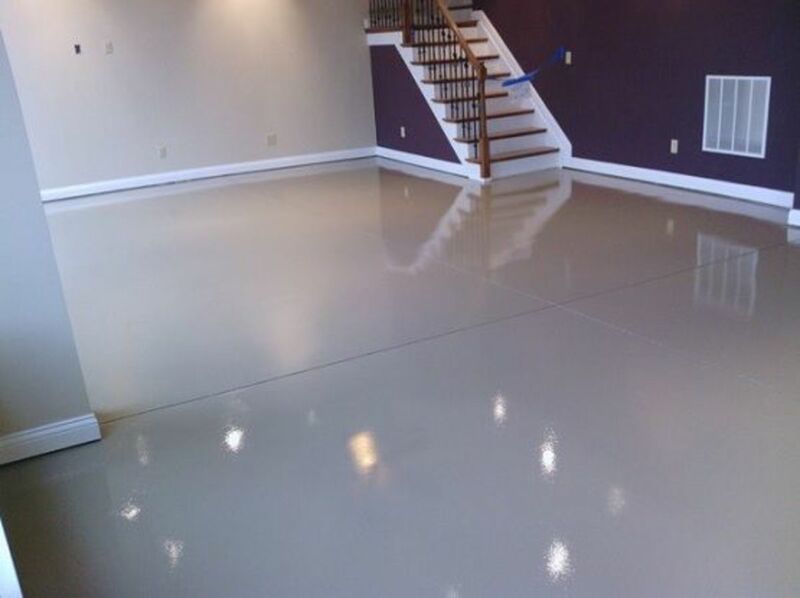 If paint drips on the floor, wipe immediately with a damp rag. 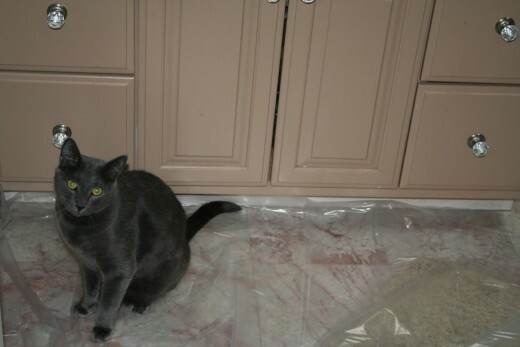 Pets are often eager to help with painting projects! This is the old bathroom. The old bathroom had a taupe colored vanity, bold striped curtain, crystal old-fashioned cabinet hardware, and lack of matching accessories. The walls lacked decoration. The new bathroom has been refreshed with a new coat of paint on the vanity and trim throughout the bathroom. Matching bathroom accessories, cabinet hardware, wall décor, and a new curtain add a refreshed and clean look. Here is the new vanity. I hope this article inspires you to makeover a bathroom in your home for as little as $100. This project was completed in less than one day! Great Ideas, finally I can show this to the GF and not have to pay $1000. Hi Rajan! Thanks so much for commenting. It definitely makes a difference every day now knowing it's not as drab as before. The makeover looks good. Thanks for the details and tips. Hi WiccanSage! It made such a world of difference just with the paint. Thank you for your comments. Nice work, great job. I redid my bathroom last year for very cheap, and a gallon of paint goes a long way in making a huge difference. Excellent article with great tips, voted up. Hi LadyFiddler! Thank you for your gracious comments. Very nice Craftytothecore ! There's something about nice bathrooms that fascinates me. Sometimes when you walk into a beautifully done bathroom you don't feel like coming out :) ha ha ha. Your paint over looks nice it raised the room. Thanks for taking the time to do this hub and share it. Thank you so much for your kind comments RTalloni. The bathroom was so bland before this transformation. Hi grand old lady, welcome and thanks for stopping by. To answer your question, yes, painting bathroom tiles can be done depending on the type of material the tile is made from. I had glass tiles on a sheet I purchased from a hardware store and painted them with regular house paint because I wanted them to be a different color. Some times certain materials cannot be painted over. The dramatic color change on the vanity was a huge improvement, and I enjoyed seeing your bargain curtain--very clever remake. Very useful tips. I would like to ask -- I saw a woman painting bathroom tiles. Is this advisable? If it is doable and okay, what type of paint should I use? Hi Better Yourself! Thank you so much for commenting. Hi Knowledge-seeker, thank you so much for commenting. Hi Eiddwen! Thank you so much for stopping by. Hi Vespa! I come up with the most quirky ideas. We have a room in the basement just for the cats. It doesn't have a door, but there is a doorway. So, instead of buying an $80 door, I re-purposed an old shower curtain with a pretty blue nautical theme that matches the color of the paint down there. So now the cats have privacy. LOL I am just full of ideas. Hi Martie! Thanks so much for your comments. Sometimes just replacing a curtain or shower curtain in a bathroom makes the whole room look new. Hi Writer Fox! It's so nice to see you here. Thank you for stopping by. Hi Flourish! There's a show on tv about people who think they want to sell their house. A team comes in and makes over their home and then they want to stay. My husband painted the living room last year and it made the entire house look so much different. It's amazing what paint can do. Hi Millionaire Tips! Thank you for stopping by and your kind comments. It's contagious. Every time I start one room makeover, my wheels start spinning about the next one. Hi Christin! Thanks so much for stopping by. It's nice to see you. Hi Alicia! Thanks so much for stopping by and your kind comments. Hi EP! Thank you! Nice to see you. Hi Diana! Thanks so much for stopping by. Hi Sha! Thank you for sharing your story. That bathroom makeover sounds lovely. I too have always wanted to replace my existing bathroom door with a door with window panes. That sounds awesome. Recently I saw a local thrift store that sells salvaged doors and windows. It was packed the day I drove by, but it's on my list of things to do this summer. I was thinking of doing some etched glass and creating a new pantry door and new bathroom door. I don't know if I'll have time. Hi DDE! Thanks so much for your comments. Hi MsDora! Thanks so much for stopping by. Thanks Faith! I helped a friend stage a condo once. Just a little paint and a few accessories livened up the place. It sold for more than most in that community. I've always wanted to buy a big old southern home with french doors leading in to a room that I can make in to my craft space. Hi Jackie! What I love about doing these projects is the fact that a simple paint job can turn something in to a new piece. It's not necessary to buy a new piece of furniture when it's so easy to repaint. Hi annart! Thanks so much. Just yesterday I saw a commercial for paint. To use up the last bit of paint, dip the bottom of wicker baskets in the paint to match the paint in the room. Brilliant. Simple things like that make a world of difference to a room makeover. This is a great and useful hub! We need to work on our bathroom and painting the walls will probably make the most impact. Well done! wow, so helpful great ideas. nice, simple and beautifully presented post. thanks for sharing, flourish! What a great job you did on the cabinet. You have given me some fresh ideas for the master bathroom. Wow very interesting and well informed. A great hub and voted up for sure. Wow, I'm really impressed by your inexpensive bathroom makeover! I love the colors you chose and your ideas for using shower curtains for windows, etc. We rarely stay anywhere long enough to give it a makeover, but now I'll know how to do it when the opportunity arises. Thanks! CraftytotheCore, this is a very inspiring hub with lots of tips and instructions to revamp a bathroom. Fortunately I don't have any paintwork to do. I can simply replace the curtains and towels. And I feel like doing this after I have read this hub of yours. Thanks! Your makeover really changed the whole look of this bathroom and your easy-to-follow instructions make it simple for anyone to do. Enjoyed and voted up! You've got a great helper there. The final product looks terrific. I have always wondered why we often wait until it's time to sell our homes before we spruce it up pretty. Your bathroom makeover looks great. And the fact that it was inexpensive makes it even more super! Great ideas here - I think it is time for my bathroom to get a makeover too. This sounds like a great way to improve the look of a bathroom inexpensively. Thanks for all the useful suggestions and tips, Crafty. Wow! I loved seeing this transformation. I am not ready to change our bathroom yet, but will keep this hub in mind! Nice job and yes my bathrooms could use an update, thanks for the useful tips. Voted up. Great job on your bathroom makeover, Crafty! Great step by step instructions as always! 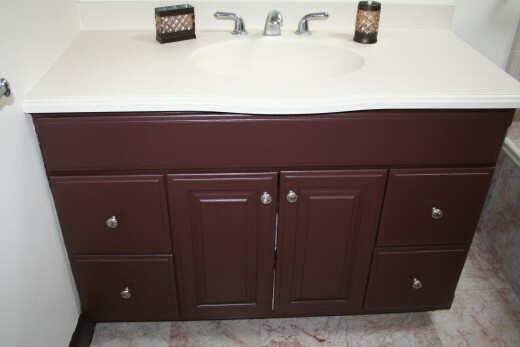 Good idea to change the knobs on your vanity; with a new color and new knobs it gives an entire new look! Plastic drop cloth and tape are my friends for any painting job:-) It takes a lot of time to prepare for any painting job but it's so worth it and it saves a lot of time with the cleaning! When I paint a wall, I also remove the plates around the plugs and cover the plugs with tape so I can do a clean job while painting! You must feel good of your "new bathroom" now that everything is done :-) By the way, I also use Behr paint. I love it! You did a great job, Crafty. I spruced up my bathroom several years ago. The shower had a door. I removed the door and frame (they're too hard to keep clean). In so doing I damaged a few of the tiles. I had a friend install new green board where the shower head is. I didn't need to replace all the tiles, so I only did the bottom third all the way around. I chose a decorative tile as a separation between the existing beige tile and picked up some hunter green tiles for the lower third of the shower stall. My friend showed me how to lay the tiles, so I was able to do it myself. I purchased an oval shaped vanity with marble top and bought new fixtures. It's in a Victorian style, which you'll see throughout my home. I also purchased a decorative wall cabinet that ties in well with the vanity and bought a custom oval shaped mirror for over the sink. I painted the walls a shade of burgundy. I added a burgundy shower curtain and offset it with decorative champagne colored tie-back curtains. For the window, I bought a topper that has burgundy, champagne and hunter green running through it. My bathroom is very small - only 3 pieces. So, for the door, I picked up a door with 10 window panes rather than a solid door. It gives the room an illusion of being larger than it is. 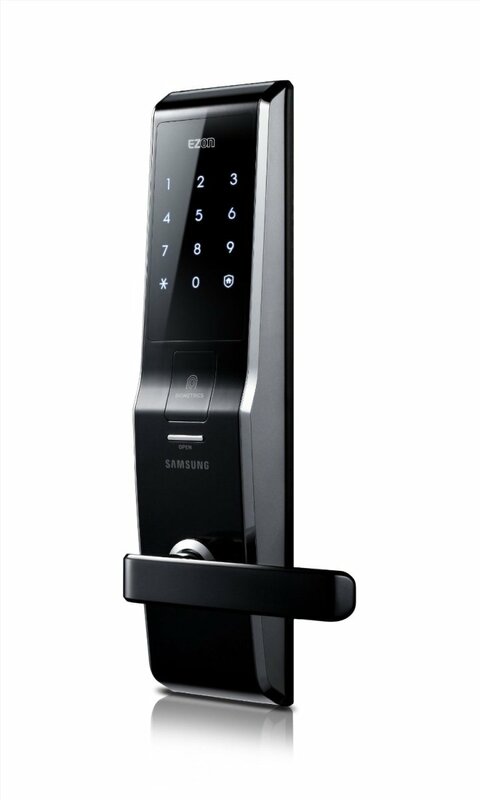 (It's in my bedroom, so privacy isn't an issue). I finished it all off with two decorative rugs that pick up all the colors in the room. I paid a lot more than $100 for the make-over, but I love it. It has a sense of elegance that garners compliments from all who see it. I think all in all, I may have spent $600 for materials. My ex-husband and I did the labor, so we saved there. Awesome make over for a lovely colored bathroom. Your suggestions are most helpful and so creative. You did a very good job. Thank you for the tutorial with illustrations. I appreciate you sharing. Great article! I have always done all of my own painting and such as you have described. When we moved from the city to the small town/country life, I freshened up our whole house and staged it with little or no money, and it sold quickly. It is amazing how just a little paint and/or accessories and art or in other rooms pillows help to freshen up a room for a whole new look with little money!!! I love your bathroom makeover! Beautiful. Great tips my friend. We are all about DIY projects around our house. Who has the money to have someone else do the work? Certainly not us. Great job! I think if you have design flair then you can do amazing things with well chosen objects and very little money. It's all about imagination and practical ability.